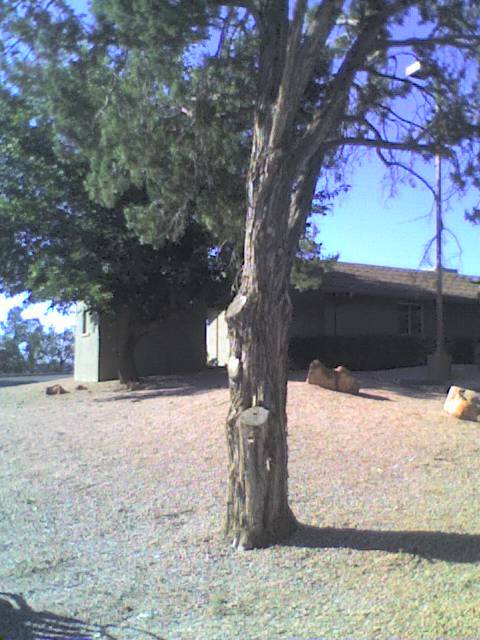 This looks like a normal tree growing in a yard in Sedona Arizona - but it is more than that! 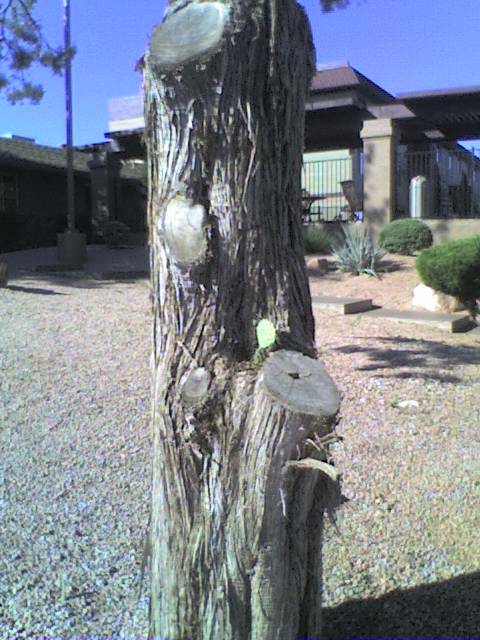 What is that green thing just above the knot where the limb was cut off? 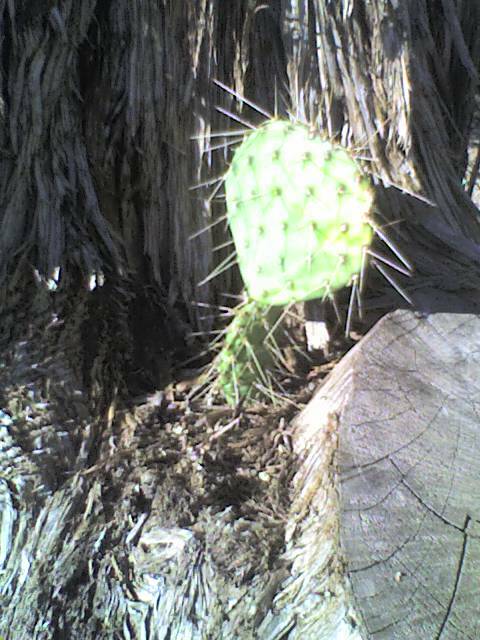 This little cacti found a spot to take root, grow, survive and prosper in a location that seems like an impossible place to live. Sometimes we may feel like we have taken root in a spot that we are uncomfortable in and are ready to move or flee to another spot. When you feel that way think about this little cacti. It is not capable of fleeing and perhaps you may realize that you can overcome any obstacle and turn the situation around and find prosperity and contentment right where you are at.